Back in 1962, Scottish Opera’s inaugural season consisted of just two works: Madam Butterfly and Pelleas et Melisande. Debussy’s symbolist opera returns to the company’s repertoire in this largely faithful new production by one of today’s most acclaimed operatic directors, Glasgow-born David McVicar. 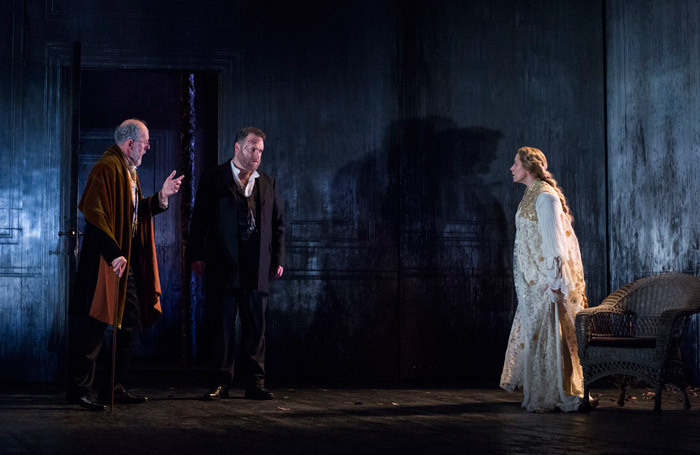 While he stages the piece largely by the book – Rae Smith’s costumes suggest the fin de siècle period of the work’s composition, while her highly atmospheric quick-change sets conjure up the distressed look of a forlorn ancient mansion mingling with the mysterious forest where Prince Golaud has his fateful encounter with the enigmatic Melisande – there is nothing lazy about the result: close to the top of his game, McVicar diligently explores the piece’s ambiguities, laying bare all the questions it repeatedly refuses to answer. He is aided by a fine cast. Roland Wood delivers a vocally vigorous, interpretatively searching portrayal of Golaud, an individual who apparently learns nothing from the sequence of tragic events largely engendered by his crippling jealousy. As Melisande, Carolyn Sampson offers tonal delicacy and a credible suggestion of childlike innocence. Ukrainian baritone Andrei Bondarenko sings Pelleas with occluded French but once again reveals the gentleness of Golaud’s younger half-brother. Alastair Miles is a vocally expressive Arkel, though both he and McVicar seem at a loss how to make fully explicable his painfully delayed response to Golaud’s horrendous violent attack on Melisande. Anne Mason creates a dignified Genevieve – a character who vanishes early from Debussy’s score, though she lingers on in McVicar’s staging as a silent presence. Cedric Amamoo is note-perfect and desperately moving as Golaud’s child Yniold. Setting the seal on a compelling dramatic performance is the perceptive and detailed conducting of Stuart Stratford – a real asset to the company as its music director – who draws outstanding playing from the orchestra.